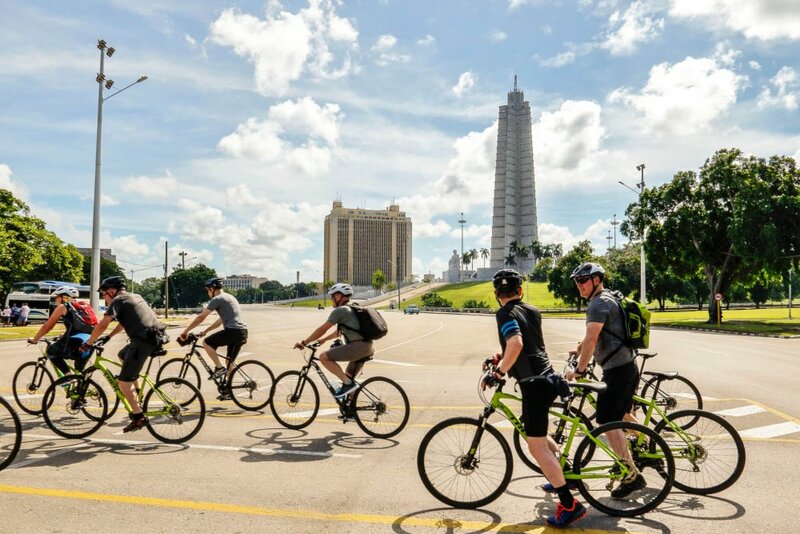 Combine a leisurely activity with an insight in to some of Cuba’s most fascinating cultural highlights on this new E-Biking tour of Western and Central Cuba. Discover the green and mountainous landscapes of Viñales Valley, and the beautiful coastal colonial towns of Trinidad and Cienfuegos. Finish your holiday with a couple of nights relaxation at a beach hotel on Cayo Santa Maria. Enjoy a rest after your flight and take your time this evening to soak up the atmosphere. 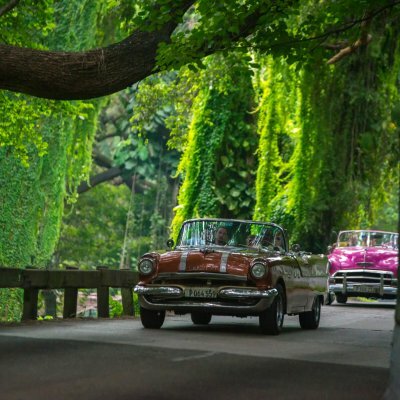 This morning your tour guide will officially introduce themselves to the group and we’ll start off in style by getting picked up in classic American cars for a memorable tour of Old Havana. This morning we transfer to Pinar del Rio province in western Cuba. Today we cycle through the Sierra de los Organos mountains to Cayo Jutias, a beautiful islet off the coast of Pinar del Rio. This morning we’ll do some exploring on foot, taking a short hike through Viñales’ spectacular Jurassic landscape. 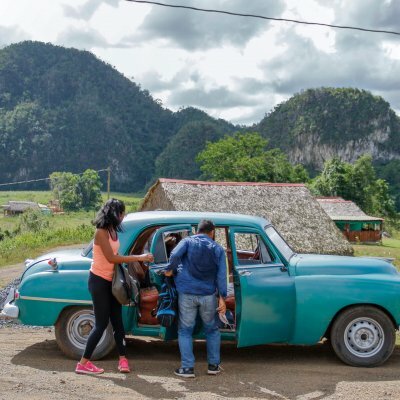 Today we cycle northwards out of Viñales, stopping to visit Cueva de los Portales where Che Guevara’s Headquarters during the Cuban Missile Crisis. We’ll follow the coastline along the edge of the Bay of Pigs and finish at Playa Giron where we will learn about the failed CIA backed invasion of Cuba in April 1961. This morning we’ll have a walking tour of Trinidad. 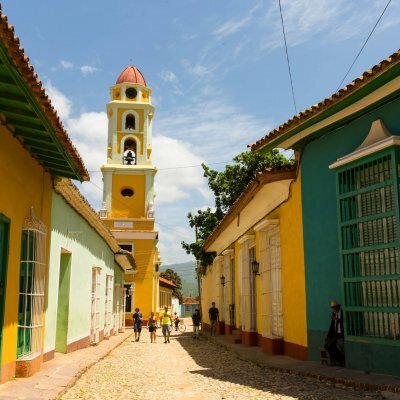 Named an UNESCO World Heritage site in 1988, Trinidad’s collection of beautifully preserved colonial buildings have the Sierra del Escambray as a backdrop and overlook the Caribbean Sea. Enjoy a day of total relaxation on beautiful Cayo Santa María. After breakfast we say goodbye to Cayo Santa Maria and transfer back to Havana where the tour ends. Bike Hire: Corratec E-Power with a Bosch Active Motor. 4 support grades and 8 gears, front fork suspension. Male and female styles frames available in a range of sizes. Meals: all breakfasts, 6 lunches and 3 dinners. Lunches will be in restaurants or picnics depending on the day. 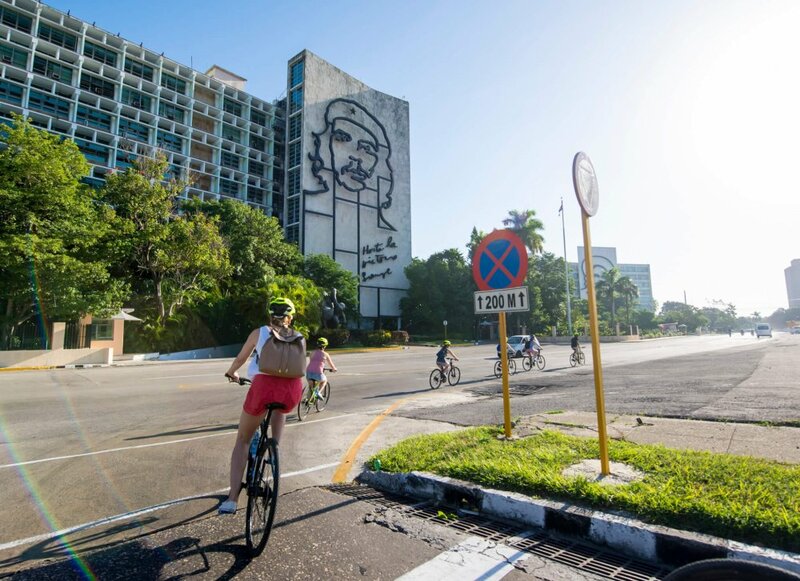 Classic American car tour of Havana; entrances to tobacco factory, Cueva de los Portales, Las Terrazas Biosphere, walking tour of Trinidad and visit to community project in Caibarien. Staff: Local multilingual Cuban guide/mechanic throughout, and driver. Professional mechanic for bike fitting on Day 2. For groups of 8 pax or more, the mechanic will accompany group throughout. You may like to bring your own gel saddle cover to fit to the hire bikes. Hotal La Moka and the hotel in Sancti Spiritus are both 3 star with en suite bathrooms and air conditioning. Hotel Melia in Cayo Santa Maria is listed as a 5 star all-inclusive beach hotel. We will use Casas Particulares in Havana, Viñales, Cienfuegos and Trinidad. 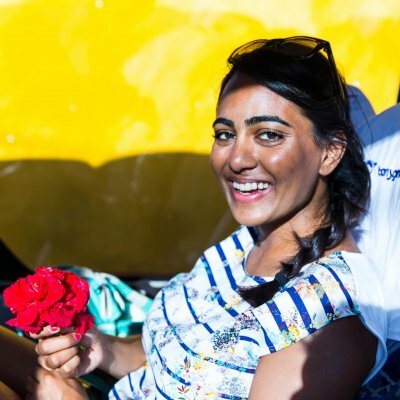 Most people love the opportunity this gives to stay in a relatively normal Cuban home and see how Cubans live. These homes are simple compared to ours but the welcome is warm and rooms clean. All the casas also have air conditioning and en suite bathrooms. You’ll be spoilt at breakfast in the mornings. All our guides at Cubania are Cuban nationals who are registered with and trained by Cuba’s Ministry of Tourism. They come from all kinds of different personal and professional backgrounds. They’ve been teachers, I.T. professionals, bakers, vets, army officers and even underwear salesmen! What they have in common is that they are all highly educated graduates who are passionate about guiding and proud of their beautiful country. 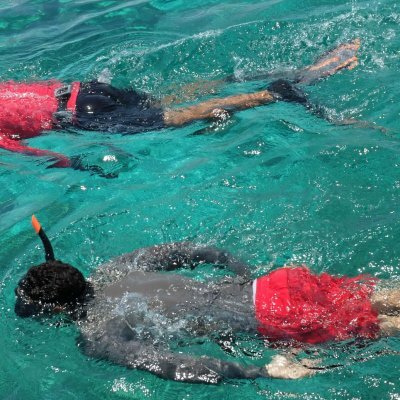 They all speak excellent English and receive annual training in First Aid. 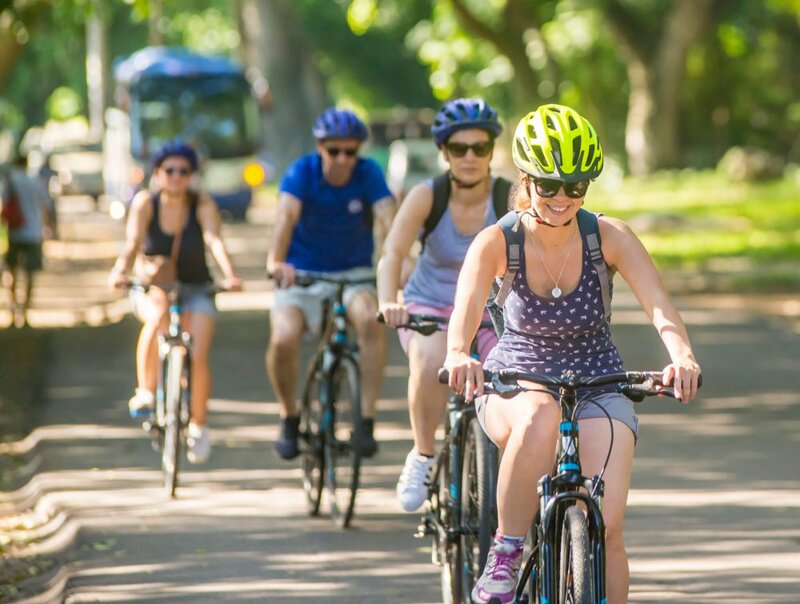 Our bike guides are trained in leading E-biking trips. Welcome to Havana! You will be met at the airport and transferred to your casa particular (private B&B – service with a more personal touch) in a central location in vibrant Havana. Enjoy a rest after your flight and take your time this evening to soak up the atmosphere. This morning your tour guide will officially introduce themselves to the group and we’ll start off in style by getting picked up in classic American cars for a memorable tour of Old Havana. Once the key to the New World, Havana’s elegant colonial townhouses and opulent plazas are vivid reminders of its past splendour. Enjoy lunch at a local paladar in the old town before having a bike fitting and safety briefing as we jump on to our e-bikes for the first time. 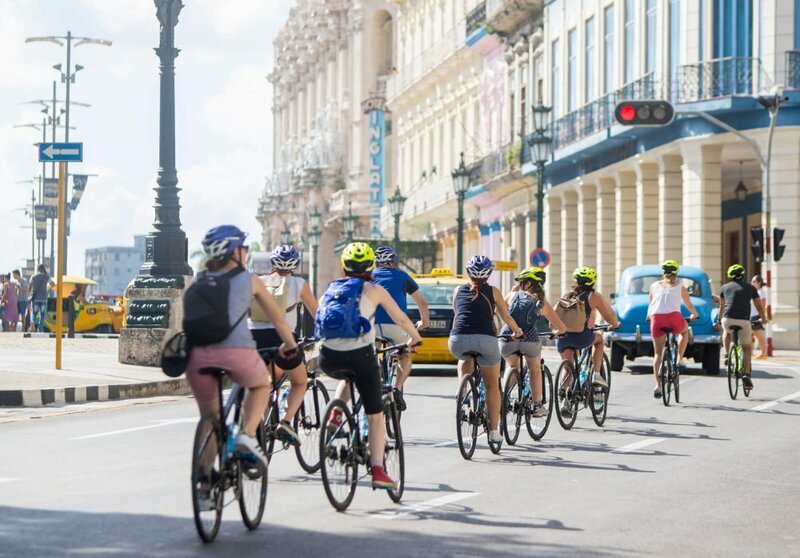 Our ride is to the modern neighbourhoods of Vedado and Miramar. We’ll stop on the way at Revolution Square, the face of Fidel Castro’s revolutionary Cuba, before continuing to Colon Cemetery, the largest cemetery in Latin America. After a spin around the impressive mansion-lined streets of Miramar district, we’ll head back east, stopping at the iconic Hotel Nacional for a cocktail. The hotel Nacional opened in 1930 and has since hosted many famous (and infamous) personalities. Its splendid gardens overlook the Malecon sea wall and are the perfect place to enjoy a sunset Mojito. Later on this evening there’s the option of visiting the legendary Tropicana show or other venues that your guide will suggest. This morning we transfer to Pinar del Rio province in western Cuba. Pinar del Rio is home to the best tobacco in the world, as well as some of the most stunning landscapes on the island. We’ll stop in the provincial capital for a tour, including a visit to a tobacco factory where we’ll see highly skilled torcedores rolling cigars by hand. 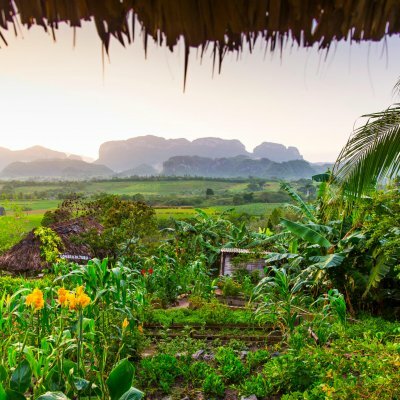 In the afternoon we bike to Viñales, a luscious valley famed for its mogotes, or karsts – rounded mountains that seem to bubble out of the ground. This striking phenomenon dates back to the Jurassic Period when the area was a cave system that collapsed, leaving steep walls that turned into these unique mountains. Check in to Casas Particulares which will be our homes for the next three nights. Today we cycle through the Sierra de los Organos mountains to Cayo Jutias, a beautiful islet off the coast of Pinar del Rio. We’ll cycle through charming rural scenes, sharing the road with horses, oxen and more than a few pot holes! 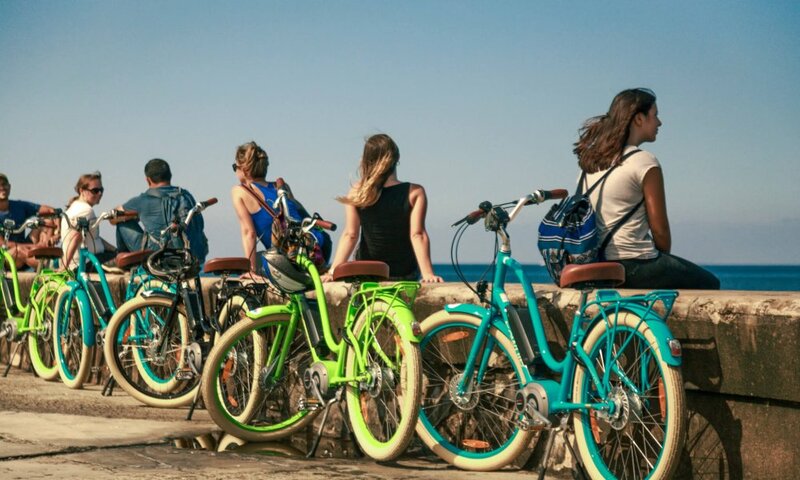 Once we reach the coast we cycle along a causeway for 14 kilometres before arriving at the beach where our efforts will be rewarded with a refreshing dip! Have some lunch (optional) at a seaside café and spend the afternoon relaxing and snorkelling in the cayo’s crystalline waters. 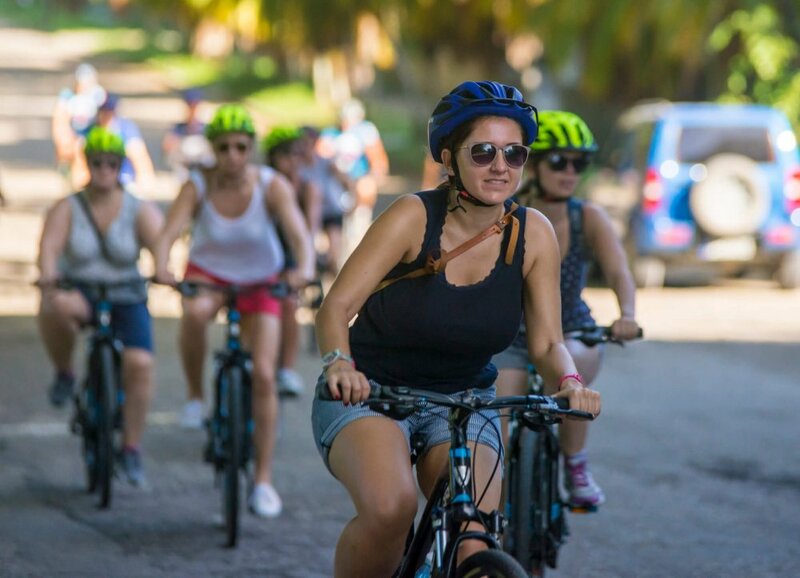 Later on, you’ll have the option of returning to Viñales either by e-bike or on the bus. This morning we’ll do some exploring on foot, taking a short hike through Viñales’ spectacular Jurassic landscape. The valley’s fertile soil is home to a variety of vegetation and farm animals, as well as an abundance of tobacco plants. We will stop at a farm to get to know a little about tobacco cultivation and daily life in rural Cuba. 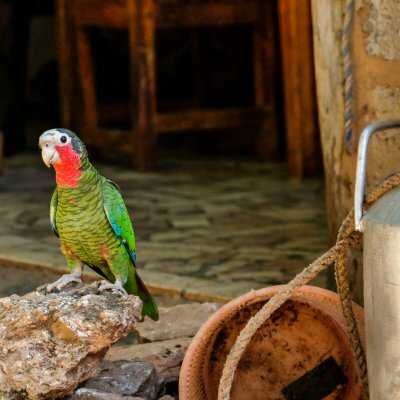 After a packed lunch you’ll have the rest of the afternoon at leisure to try some horse-riding, have a go on Viñales thrilling zip-line or simply chill out and enjoy the breath-taking scenery. 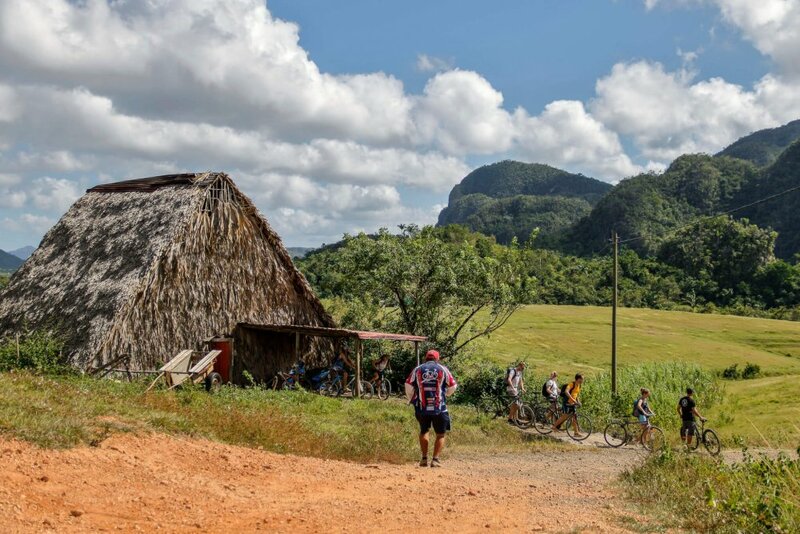 Today we cycle northwards out of Viñales, stopping to visit Cueva de los Portales where Che Guevara’s Headquarters during the Cuban Missile Crisis. We’ll have a packed lunch in either Cueva de los Portales or the neighbouring Parque Nacional La Güira. We’ll then continue through the Sierra del Rosario mountain range to our final destination, Las Terrazas Biosphere Reserve. Las Terrazas is an eco-village that was founded in 1968 and is dedicated to reforestation and ecotourism. 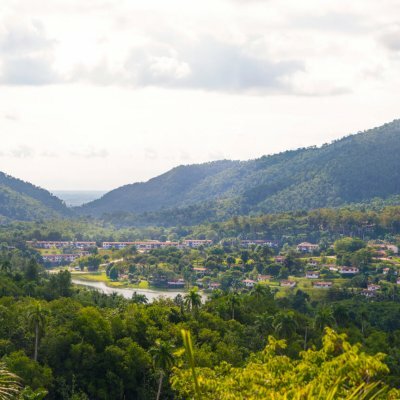 As well as being a subtropical paradise, it has a vibrant arts and crafts scene with opportunities to get to know local artisans and members of the community. Tonight we will stay at La Moka, an ecological hotel that was built to complement the surrounding landscape. Overlooking the small community of Las Terrazas, the hotel is surrounded by wooded hills and wild nature. La Moka’s unique atmosphere makes it the perfect place to relax and spend the night. Today we start with a long drive to central Cuba (approx. 5 hours). We’ll stop to visit an old sugar mill village called Australia, where we can learn about the sugar trade. From here we’ll jump on the e-Bikes and ride southwards through the Cienaga de Zapata, a large swampland area which is home to all kinds of birdlife and wildlife, including crocodiles! 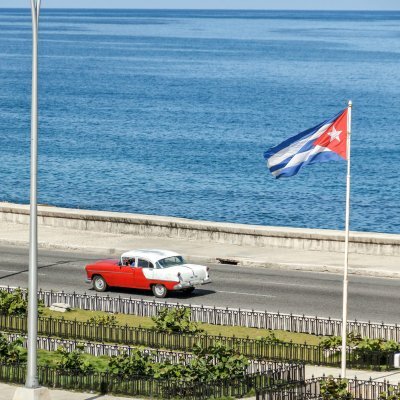 We’ll follow the coastline along the edge of the Bay of Pigs and finish at Playa Giron where we will learn about the failed CIA backed invasion of Cuba in April 1961. From here we’ll drive the short distance east to Cienfuegos, a beautiful coastal city characterised by its 19th century French architecture. 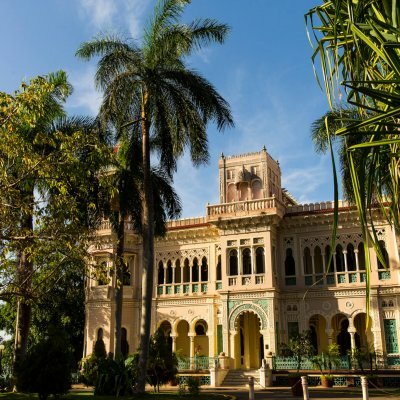 Take in the architectural delights of Cienfuegos on foot and stop at the opulent Palacio del Valle for a sunset cocktail overlooking the bay. In the morning we’ll set off on our bikes eastwards in the direction of Trinidad. For lunch, we will stop at La Vega community and from here you’ll have the option of either walking or going on horseback the short distance down to a nearby beach. After lunch, continue cycling along the scenic road to Trinidad. In the evening (optional) a trip through the romantic-musical nightlife of the city, where live music and dance are very popular, for example, in the Casa de la Música or Casa de la Trova. This morning we’ll have a walking tour of Trinidad. 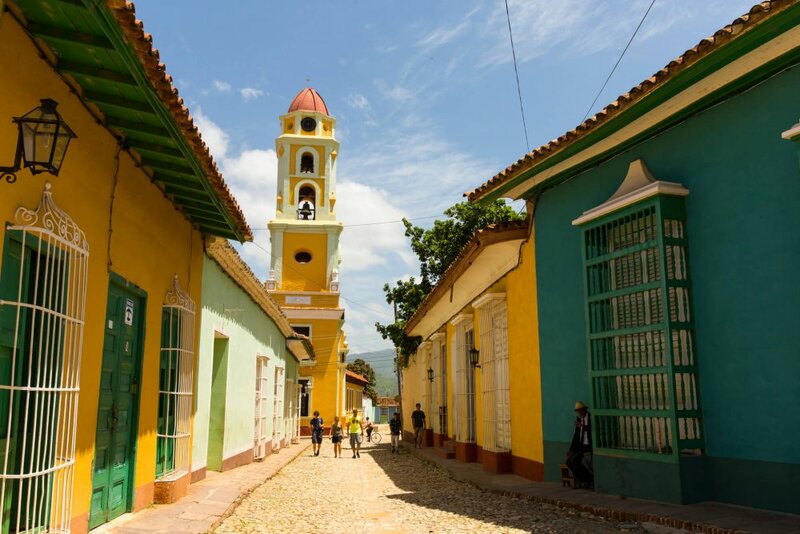 Named an UNESCO World Heritage site in 1988, Trinidad’s collection of beautifully preserved colonial buildings have the Sierra del Escambray as a backdrop and overlook the Caribbean Sea. Much of the city’s fortune was made during the sugar boom of the early 19th century when the city’s nucleus of elegant mansions was built. Trinidad is best explored on foot, following its winding cobbled streets to open market places where innovative locals sell artisanal goods, from hand-woven tablecloths to pottery. We will visit the rustic Canchánchara bar, and then enjoy the afternoon at leisure. Trinidad has several interesting museums, or you may like to ride your e-bike to the nearby Playa Ancon and spend the afternoon relaxing on this beautiful Caribbean beach. This morning we cycle to Valle de los Ingenios, a 12-kilometre long valley that was once home to over fifty sugar cane mills. 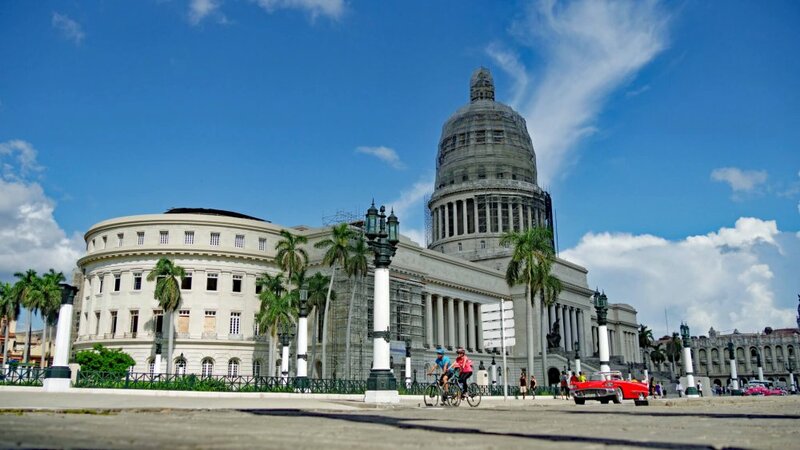 We’ll stop to visit the former estate of Baron Iznaga, with its imposing bell tower, once the tallest structure in Cuba. We’ll continue along the foothills of the Sierra del Escambray to Sancti Spiritus, the provincial capital and one of the first seven villages founded by the Spanish in the early 16th century. This is a quiet, parochial place steeped in history. Its inhabitants are proud of the Iglesia Parroquial Mayor del Espiritu Santo; the oldest operational church on the island, as well as Puente Yayabo, the only European-style redbrick bridge in Cuba. This morning we ride along rural roads to the colonial town of Remedios, famous for its raucous Christmas celebrations. We’ll have a short tour around the centre of the town and then stop to eat a packed lunch. In the afternoon we continue to Caibarién, a quiet fishing village on the north coast of central Cuba. We’ll have a quick walking tour of the historic centre and visit a pioneering community project run by local artists. We’ll then get on the bus to drive along the 48km-long causeway to Cayo Santa Maria, where we’ll check into our beach hotel. You are used to exercising, have a good level of fitness and enjoy being active.